I’m not a die hard cricket fan. In fact, I don’t think I even know all of the rules. 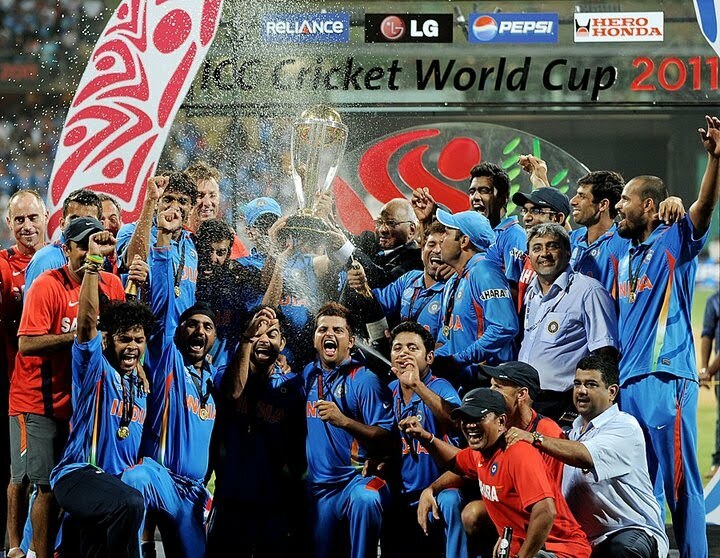 I know six, four, out, not out, lbw, wicket, catch, no catch, etc etc but my heart is truly filled with joy now that India has won the World Cup! Winning the India/Pakistan semis was brilliant. But the media shouldn’t have created THAT much hype about it. I mean, yeah I know its very exciting. It truly is. But they made it seem like one battle. Seeing the cup being lifted by Sachin in my generation is truly incredible. This picture will be etched in our minds forever. So now India will not worry about winning for the next twenty eight years ’cause people will still keep talking about the 2nd of April, 2011 when the entire country erupted just out of sheer happiness. Thank God India won. Now we can gloat about it for many many years to come. Else we’d have to hear stories about how we came THIS close to winning the World Cup and lost and some stories never get old. Also, how absolutely charming is Virat Kholi! Ah.. he just makes my heart melt! ← The Baeku Is Back!